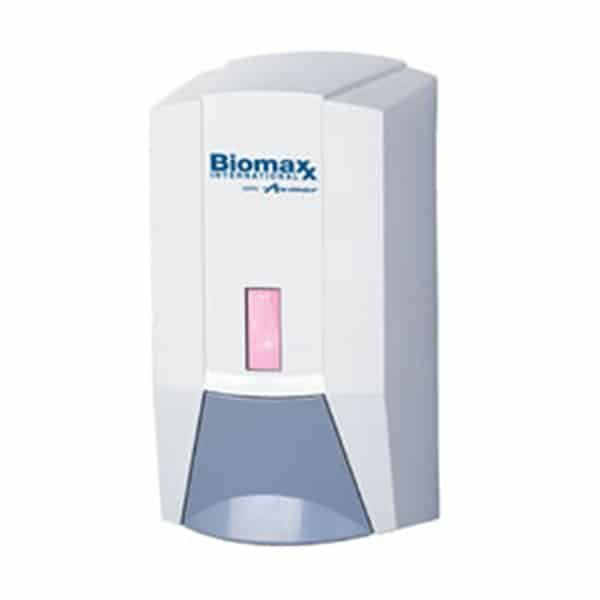 The BIOMAXX skin care system offers the latest in bag-in-box technology and design. Unlike bulk systems, bag-in-box provides hermetically sealed bags and individual pumps enhancing germ-free applications. Blue and white.